There are many different advantages to using a wall-mounted boiler, such as versatility, level of comfort and energy efficiency. With their compact dimensions, wall-mounted boilers are optimal for freeing up valuable space. 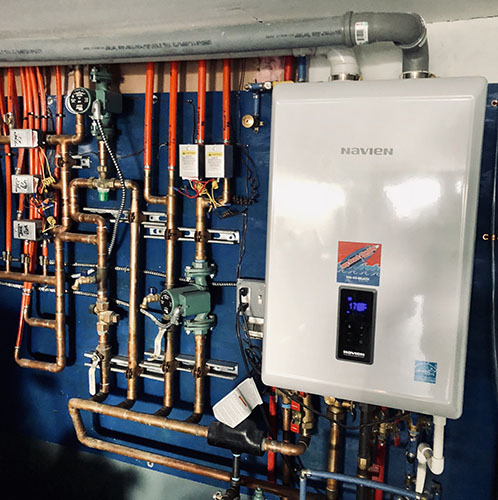 Wall-mounted boilers can be utilized in many different situations, such as radiant, hydronic and domestic water heating; making them a great choice for almost any heating application. We use only the finest and innovative products from Navien & IBC.